Hello & welcome to a new regular feature here on my blog. I thought it would be nice to share with you 1 photograph per week, every Friday, from my archive. It gives me a chance to showcase the breadth of what i have stored up on hard drives from the last 12 years. In that time I have shot hundreds of weddings & attended every sort of occasion you could imagine. With that in mind I am going to take you back to 2011 & to a very special job I was very lucky to get. 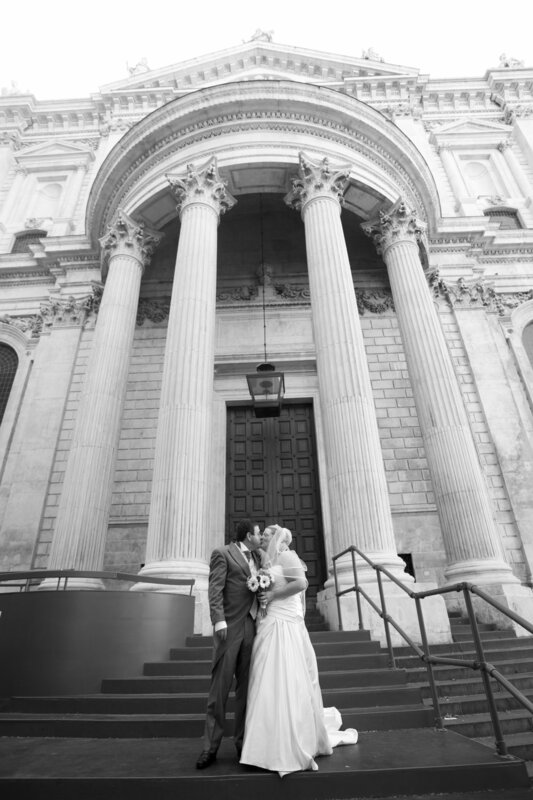 This wedding took place at St. Paul’s Cathedral in London. From memory, the brie & groom told me if you are an OBE, MBE or a CBE your children are entitled to get married at St. Paul’s Cathedral. In this instance the groom’s father was a decorated member of the navy, so he took up the option of using this magnificent building for his wedding day. Stay tuned for the next photo in this new series next Friday, & each week after that. In the meantime you can have a look at more of my photos here.